Quilted bed with storage made of high quality plywood. 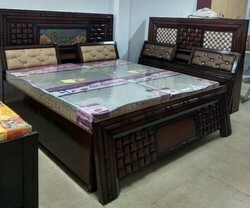 We offer very good quality bedroom beds to our customer. Brand New in Idirapuram Ghaziabad.